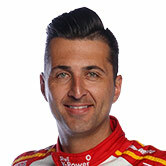 The first lot of pics are in from Austin, from the V8 Supercars media day. In what is a huge day for our sport, James Courtney and Fabian Coulthard are with Kurt Busch and Chad Reed ahead of the driver swap at CoTA. It will be V8 Supercar vs NASCAR as the boys trade Car of the Future prototype, the Holden Commodore VF for Busch's Furniture Row Racing Chevrolet SS NASCAR at Circuit of the Americas, ahead of the Austin 400. Australian Supercross rider Chad Reed has also gotten in on the action – see all below. Today's events follow the announcement of the format for the Austin 400, requiring drivers to complete pitstops for tyres in all four races. 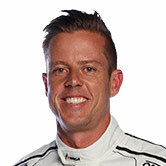 Holden Racing Team's Courtney was the first V8 Supercar driver to drive a V8 Supercar at the circuit earlier this week. Stay with V8Supercars.com.au for all of the action from America, today and during the Austin 400 running from May 17-19.